TBP: How did you befriend Little Edie? Walter: I saw the film “Grey Gardens” for the first time with Pat Loud at the Paris Theatre in NYC when it was first released in 1976. Pat Loud is probably best known as the matriarch in the first reality TV series in the history of television, “An American Family” (PBS, 1973). I first met Pat while I was a college student to interview her about the TV series and her autobiography for the Rutgers University college newspaper. This was 2 years prior to meeting Edie. After I saw “Grey Gardens,” I had an overhwhelming desire to meet Little Edie similar to my desire to meet and interview Pat Loud for my college newspaper. I located the telephone # for The Beales by dialing directory assistance – when I first requested an interview Edie turned me down. I was persistent and called every other day or every few days until she said yes. I drove out to the Grey Gardens compound with a photographer and another college friend and did an interview with Edie for about 2 hours. I liked Edie very much – she was similar but much different in person than she appeared in the film. I sent her a copy of the published interview and began calling her on the telephone after that. Long distance phone calls were very expensive so when I would say to Edie ‘I have to go’…she would say “I’ll write you a letter…” and that’s how the correspondence started and continued through her years living in East Hampton, South Hampton, NYC and Florida. It’s explained in the introduction of my book “Letters of Little Edie Beale: Grey Gardens and Beyond” which contains transcriptions of almost all the letters and cards she sent me over the years. TBP: What is the range in years that you exchanged letters with Little Edie? Walter: 1977- 1987 and 2000-2001 were the years Little Edie wrote letters to me – I didn’t write to her during the 70s and 80s, I called her on the phone. When the film was released on VHS and DVD in 1999 or thereabouts, I wondered what happened to Edie and called the filmmaker Albert Maysles and told him about my relationship with Edie. He did offer to forward a letter on to her if I sent it to him. A month later when I figured Edie no longer wanted to be in touch, she wrote to me and continued writing to me from 2000-2001 until she passed away. I had to exchange/write letters with her during this time frame – apparently her hearing was going because every time I called her on the phone, she couldn’t hear me. TBP: You also spent a lot of time with Little Edie early in your friendship. 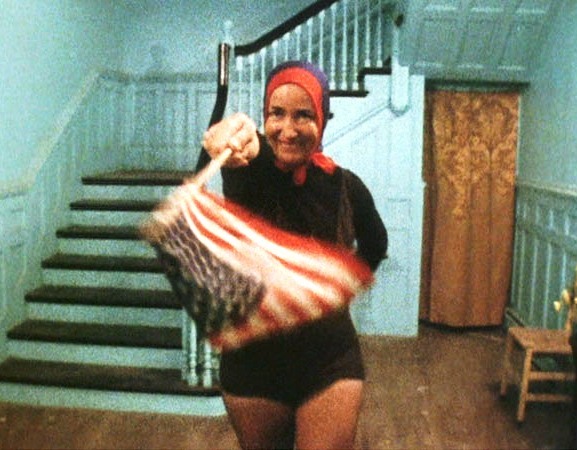 Walter: People should remember that Little Edie was more or less anonymous during the early 80s…’Grey Gardens’ was released in 1976 and was only occasionally presented at art houses nationwide – the film was not on TV, available on VHS or DVD yet and not on TV during the years she lived in NYC from 1980-1983. Many people did not know who Little Edie was, but became fascinated by her upon meeting her due to her conversation and dress, which was not as flamboyant as the clothing she wore for the filming of Grey Gardens. I would take Edie out to lunch most of the time in NYC. I also took Edie to an exhibition in Soho called “The Box Lunch” which honored famous women in pop culture and history like Eva Peron, Martha Mitchell, Julia Child, Little Edie and about 35 others! We also went to art exhibits in New Jersey, parties at nightclubs and parties on the Upper East Side. TBP: When you sat down to review the 100 letters recently, what was most surprising to you about the coorespondance? Walter: The fact that Little Edie was such a loyal, caring friend and correspondent for so many years – her letters were so long that sometimes I did not read them. It was not only sentimental, but a very interesting exercise to work with a Rutgers intern to transcribe the letters years ago. No one has ever written me more letters during my lifetime. Edie was extremely intelligent and interested in current events and politics. And I am not the only person she wrote to – but I think my collection of letters spans a time period no one else has – I could be wrong, but that’s my thinking. TBP: What was the stationary she wrote on like? Walter: Edie’s stationary was an eclectic variety – over the years she wrote on paper from note pads, legal pads, to stationary with Snoopy and pages that had the name EDITH printed at the top – then there was one with a log from the Barbizon Hotel crossed out with an ‘X’ and an ‘Easter card’ with the Happy Easter wishes written on a diner placemat with Easter art. Great stuff. TBP: Who are some of the bold-faced names she talks about in the letters that are for sale? TBP: I love how she asked you about Farrah Fawcett. What would she think of Lady Gaga? The only pop performers who were current when we exchanged letters in the years 2000-2001 were Cher and Britney Spears…but yes, I think Edie would have loved Gaga. TBP: What would she say about the lingering interest, for decades now, in everything Little Edie? Walter: ‘I need to get paid, kid’…she was unhappy that she never really benefited financially from sales of the VHS and DVD and wrote to me about it in a few the letters. Michael Korie, the lyricist for the Grey Gardens musical, told me if she was still alive when the musical debuted, he and his collaborators would have definitely offered compensation. TBP: Anything else you would like to add? Walter: If anyone is curious about my history with Edie, please visit my website – www.greygardensbook.com there are photos, interviews, art, some letters, etc. There is also info re the two books I put together – memoraBEALEia is a personal scrapbook about Edie with photos, copies of letters, art etc. ; the 2nd book is Letters of Little Edie Beale – it’se transcriptions of most of the letters written by Edie that up for auction. Email Walter for more information at newkirkpr@aol.com. Click on the “Grey Gardens” column category at right or click here for more exclusive interviews, including a rare series with Bouvier Beale, Little Edie’s nephew. AREA’S MOST-READ FOR FOUR YEARS!